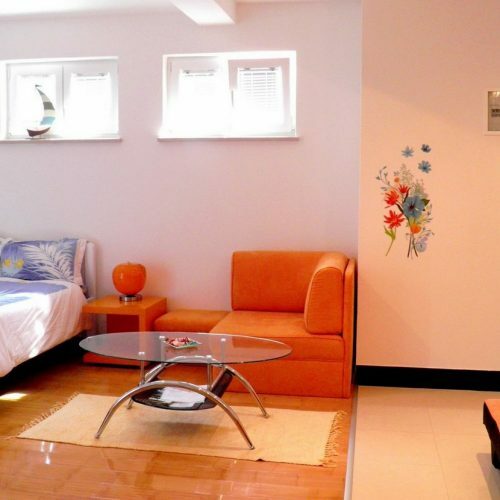 Let yourself go and blossom in this studio apartment. 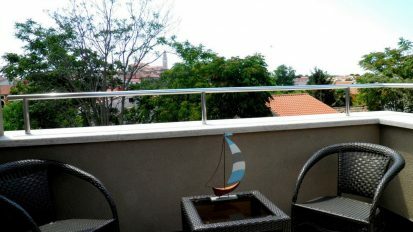 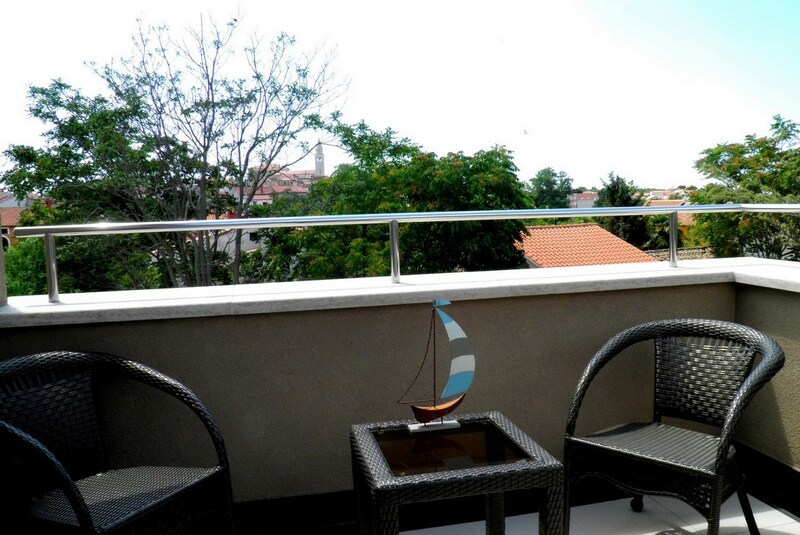 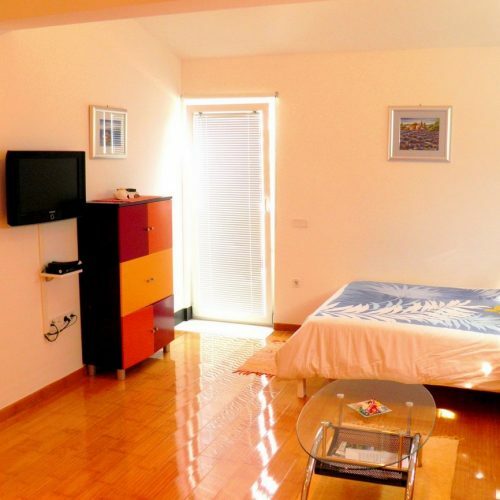 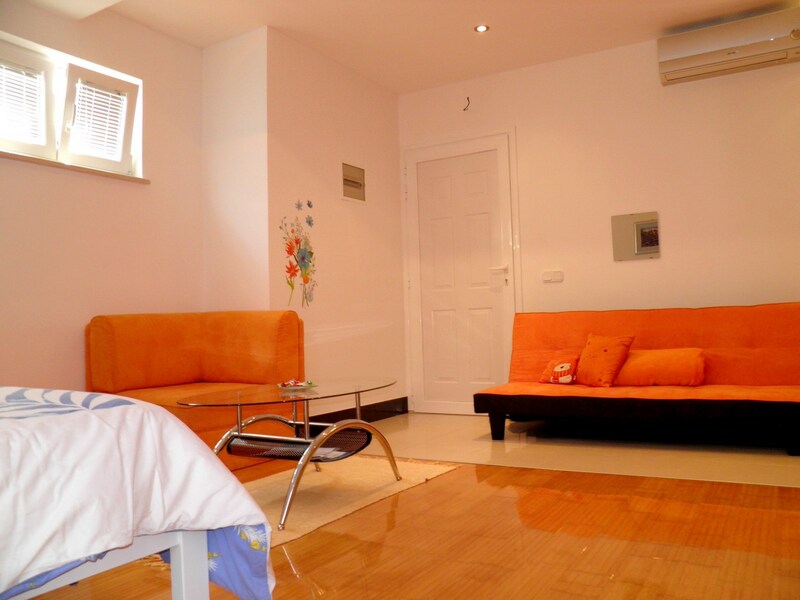 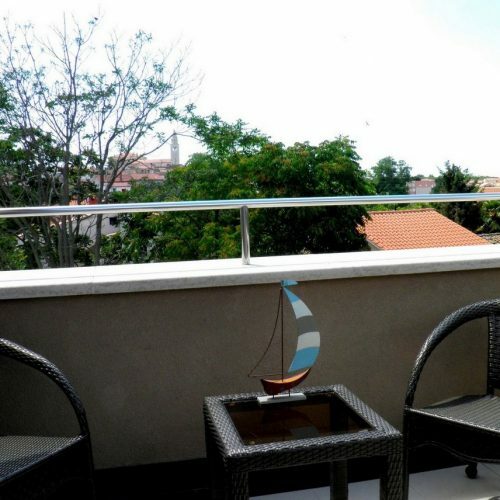 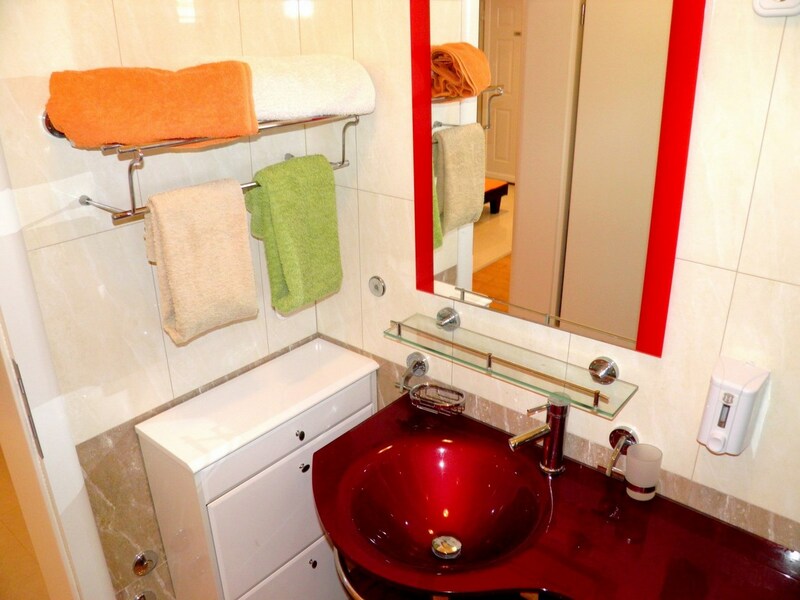 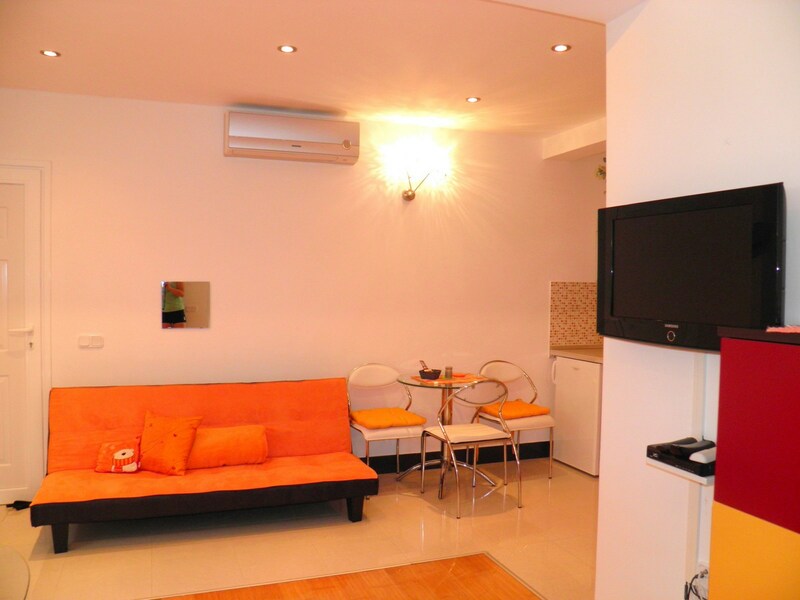 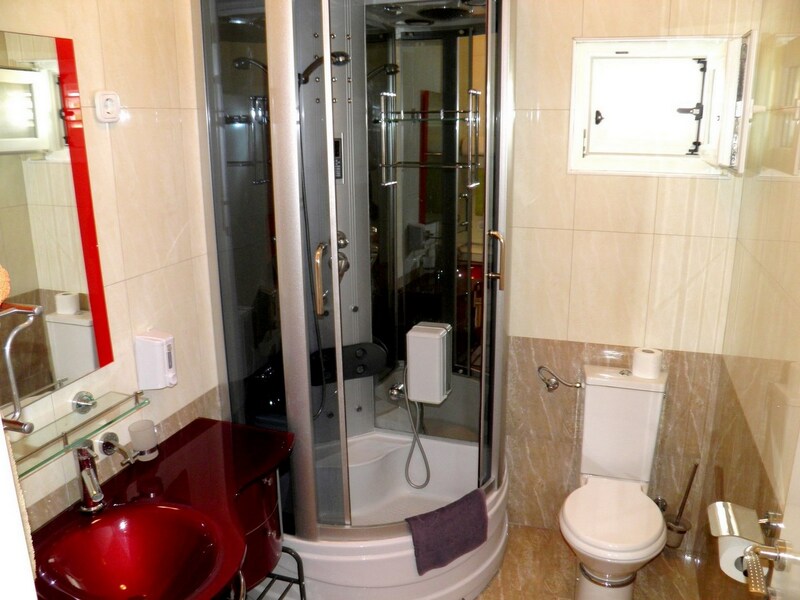 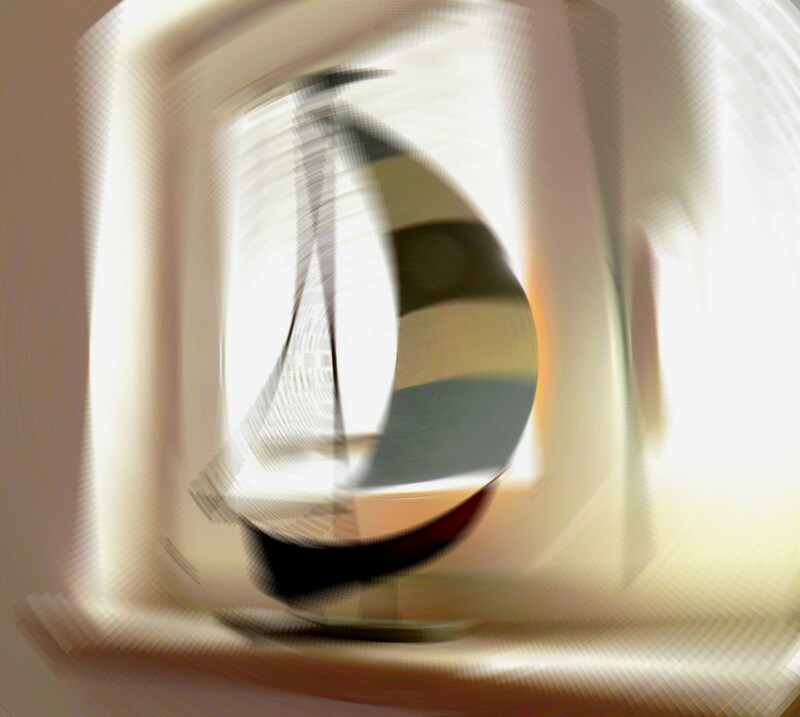 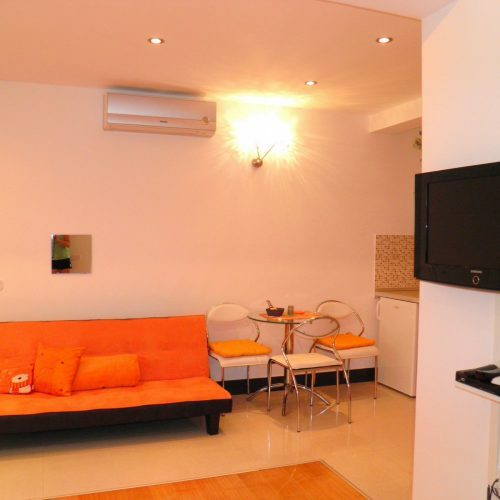 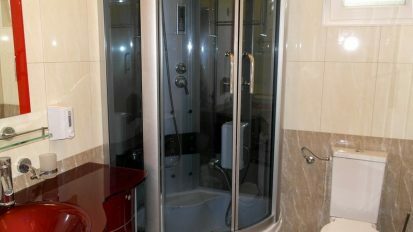 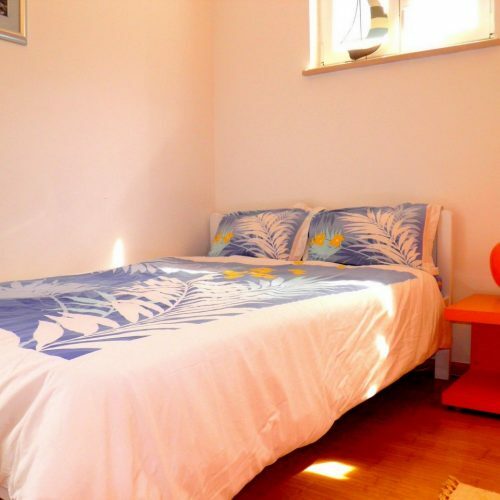 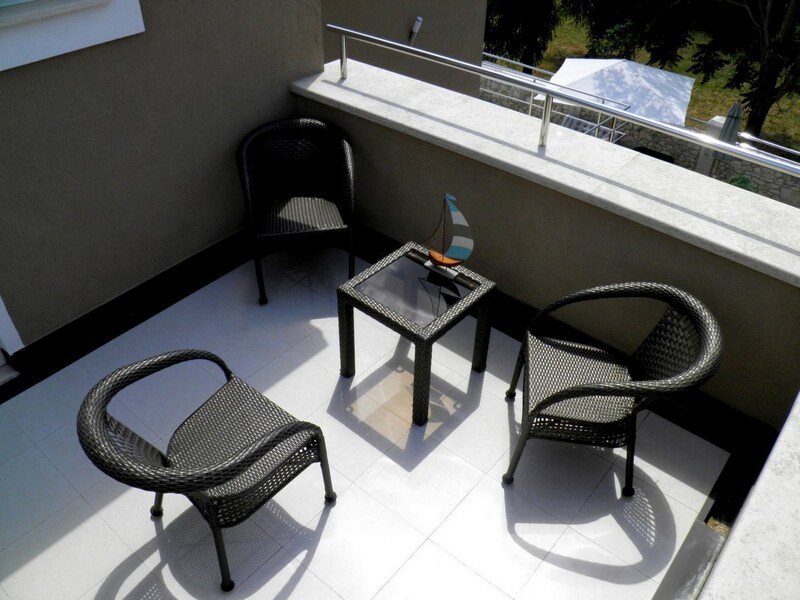 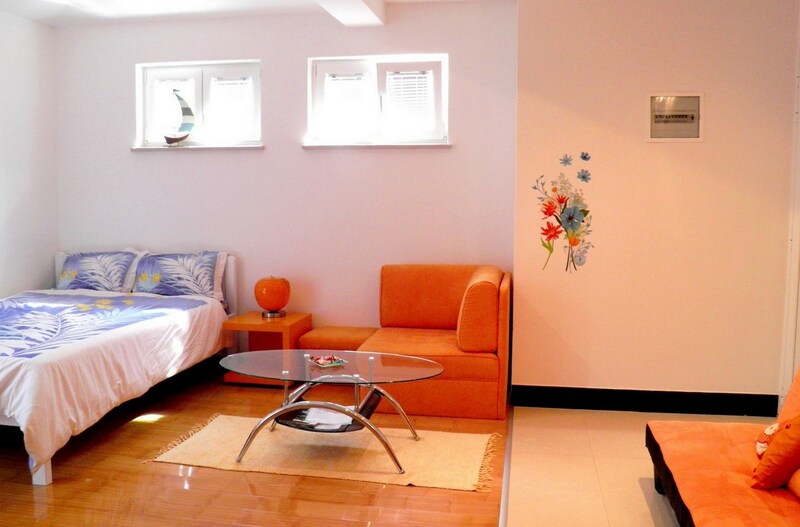 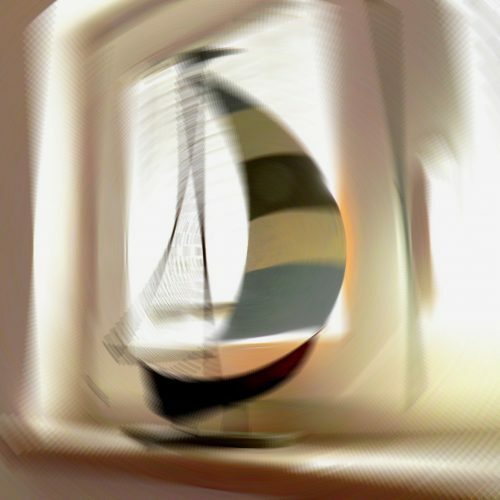 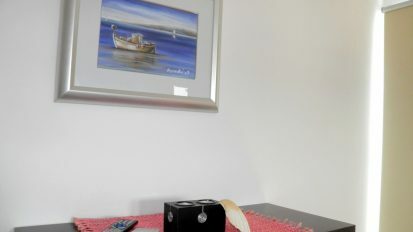 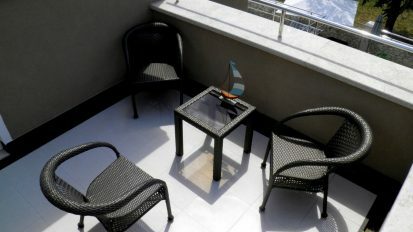 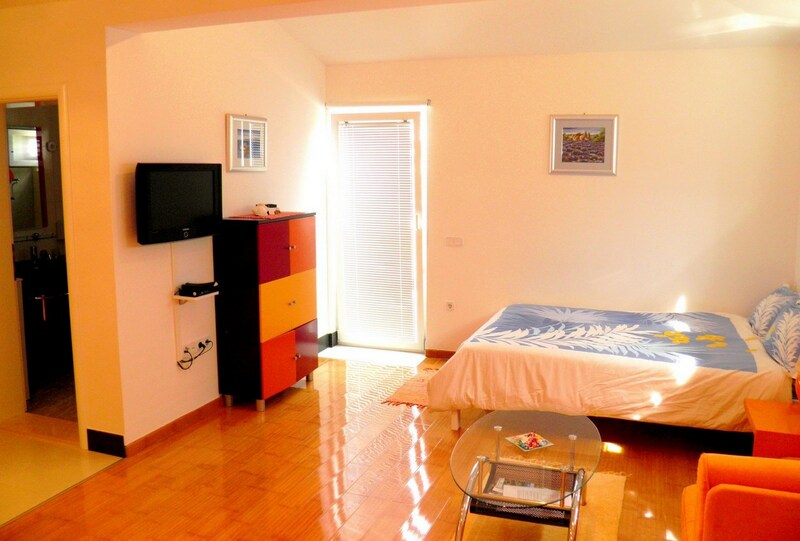 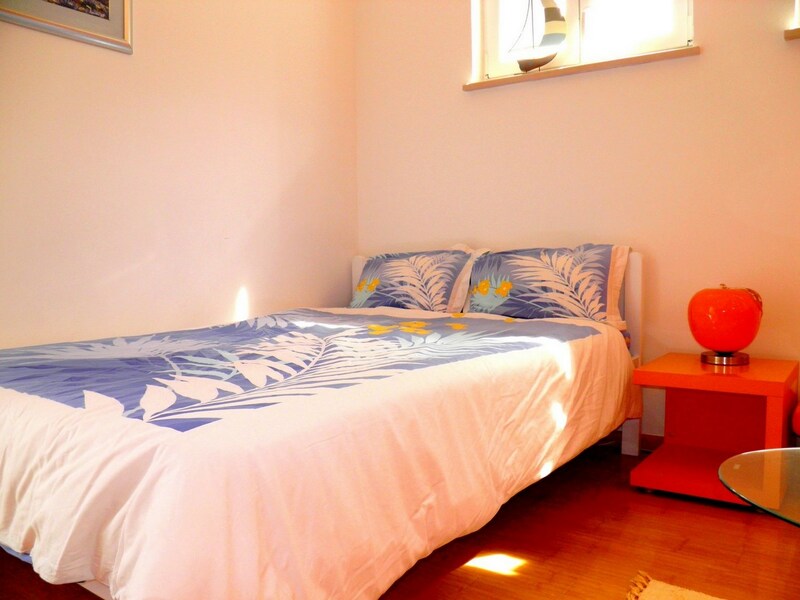 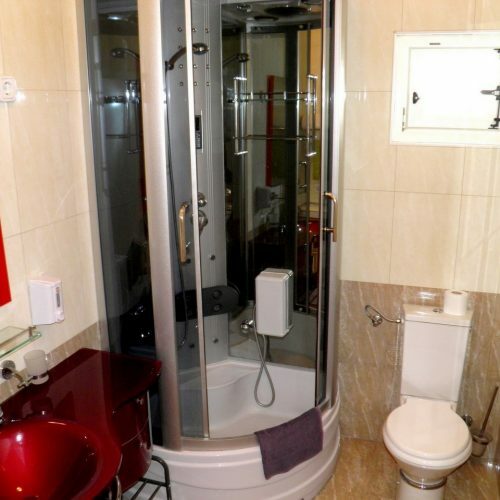 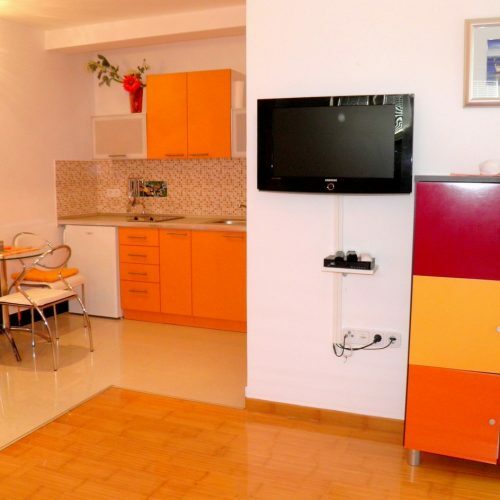 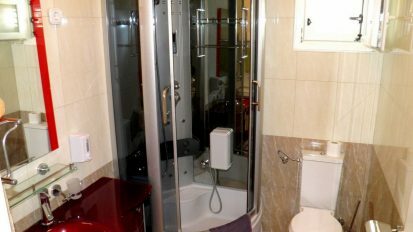 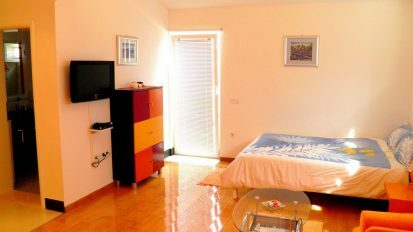 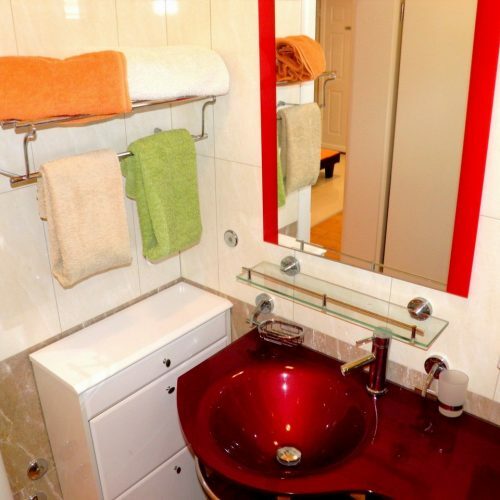 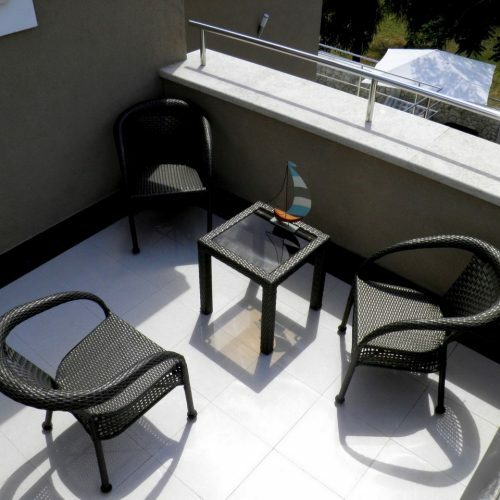 This neat studio apartment is situated on the second floor with lovely terrace. 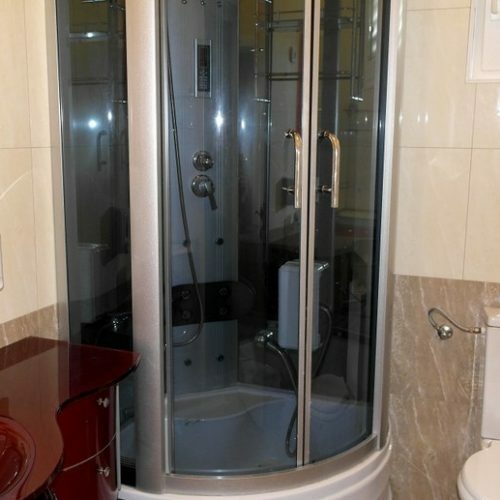 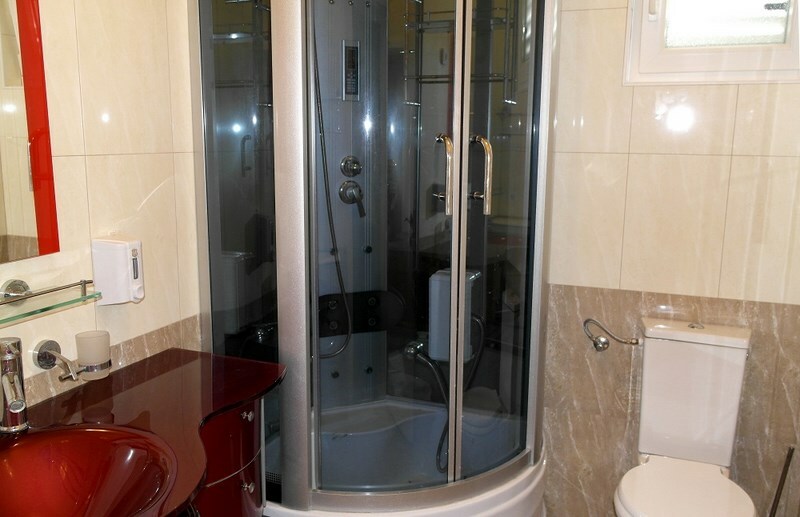 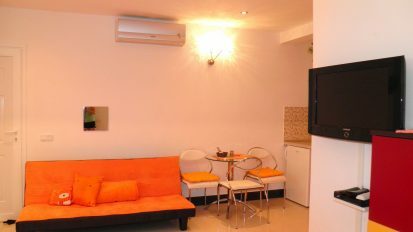 It’s ideal for couples, two or three friends or smaller family. 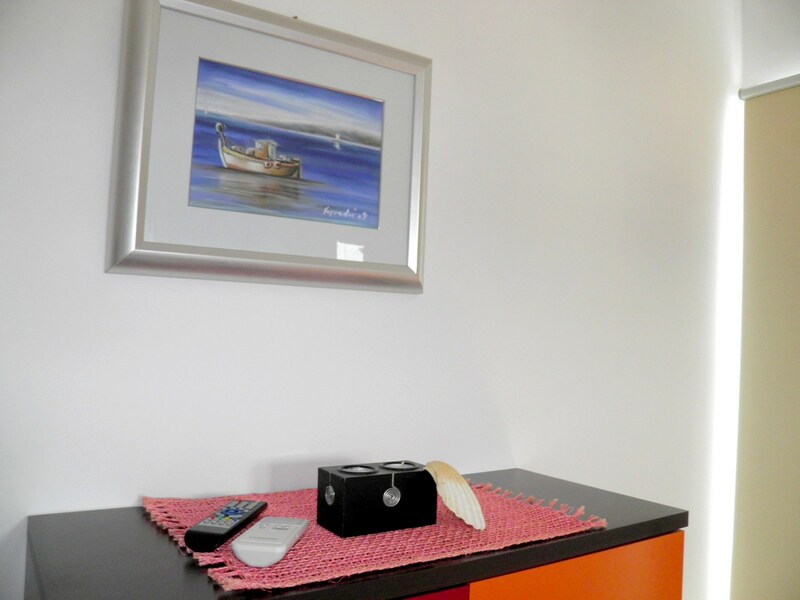 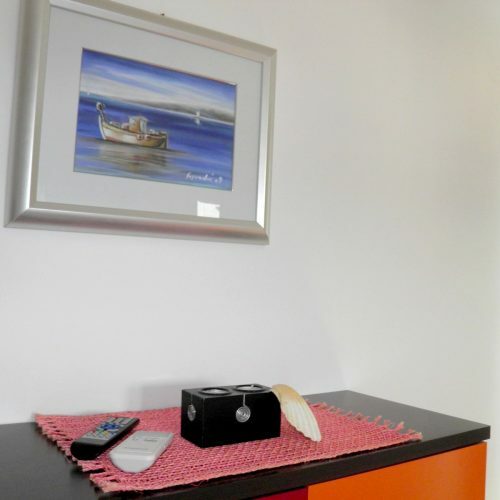 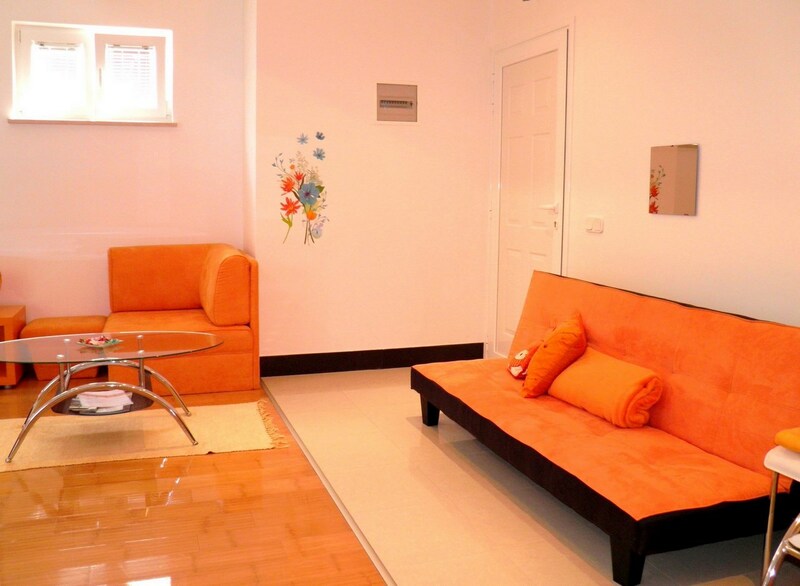 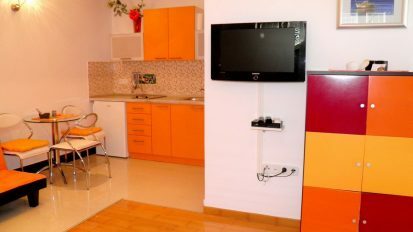 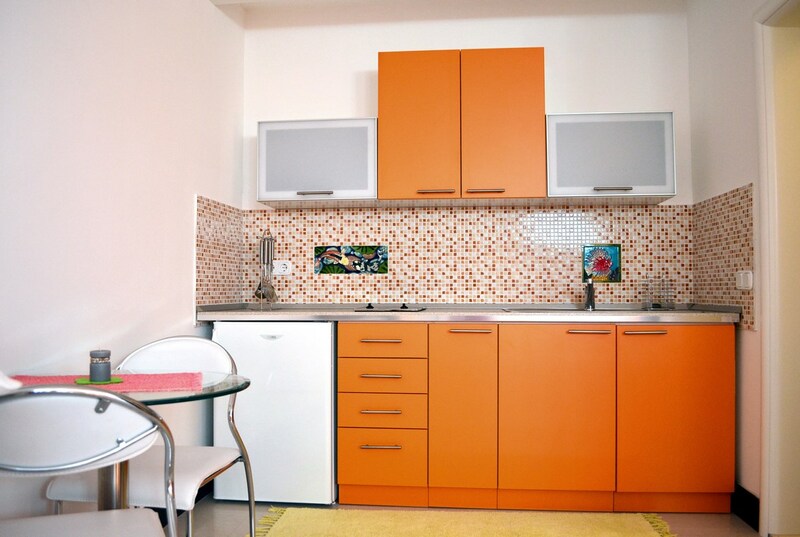 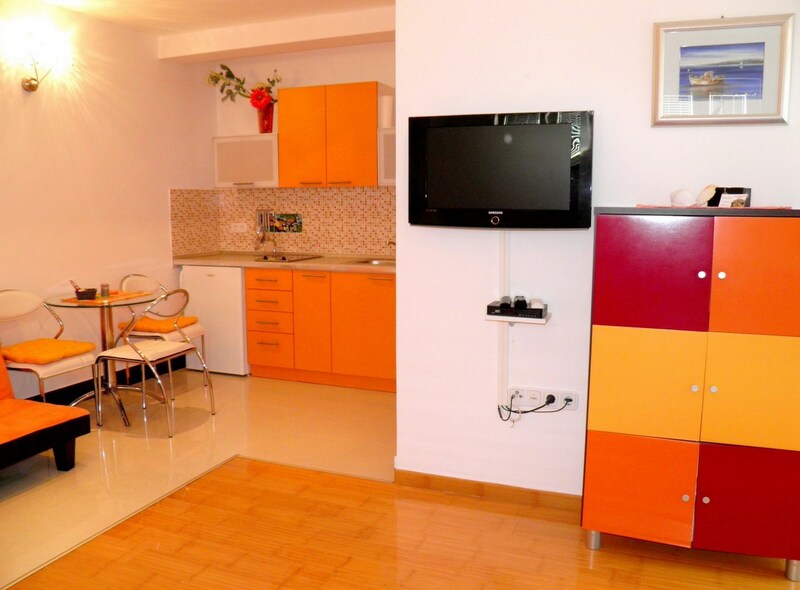 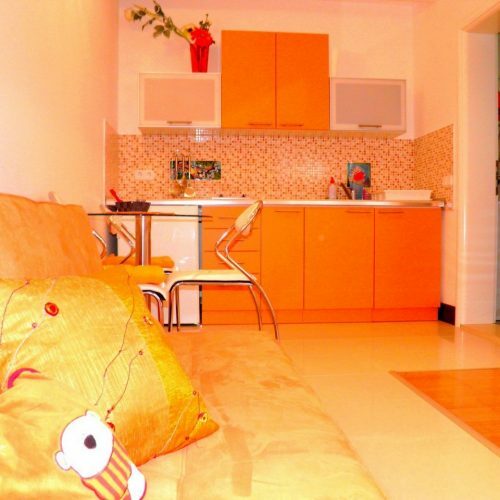 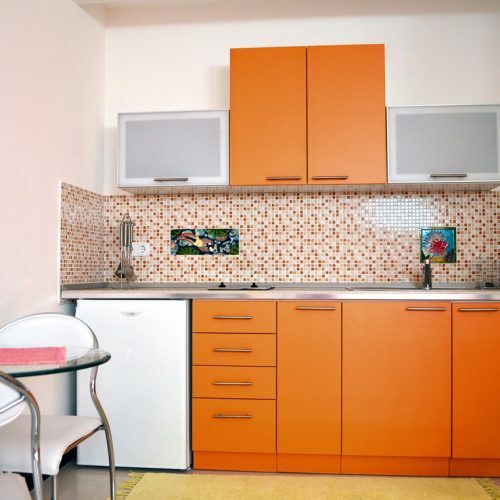 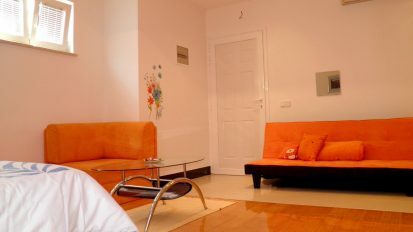 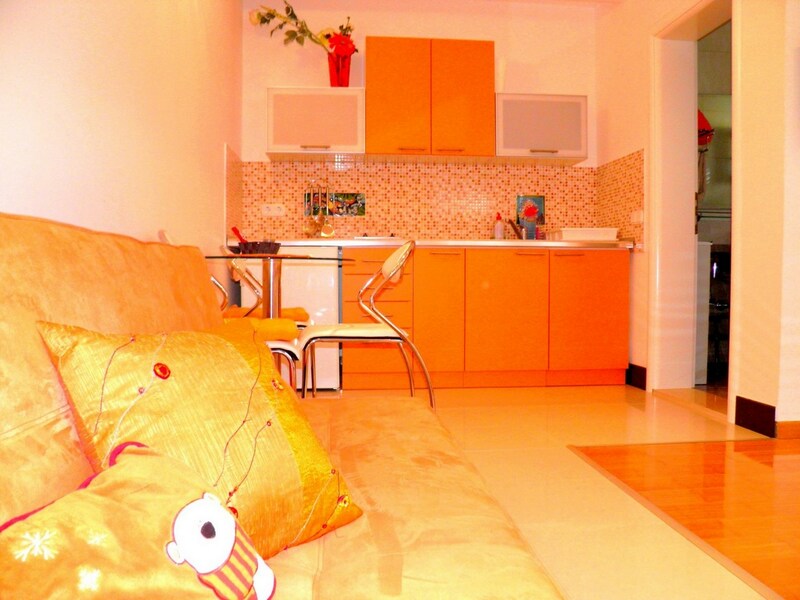 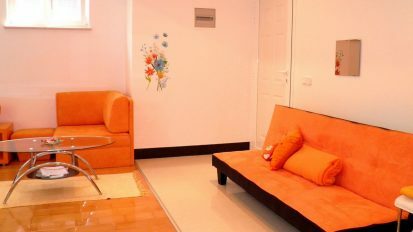 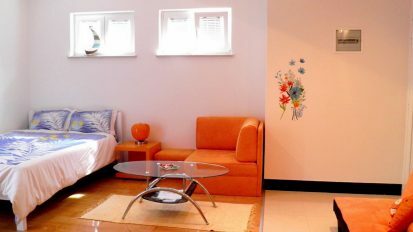 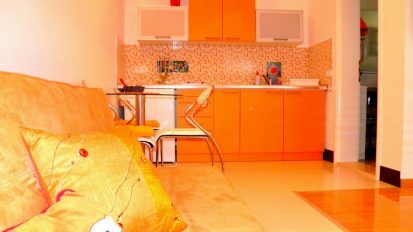 Orange blossom has a kitchen, real bed, sofa (clikclak), separate bathroom and terrace. 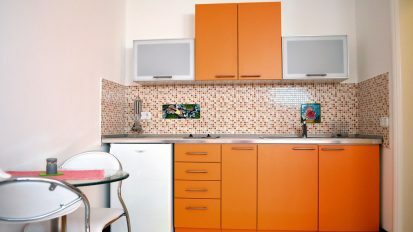 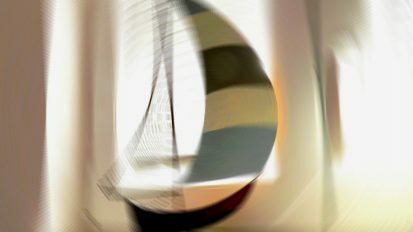 In kitchen there are all necessary dishes for eating and cooking, kettle and filter coffee machine. 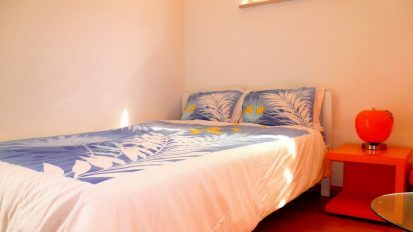 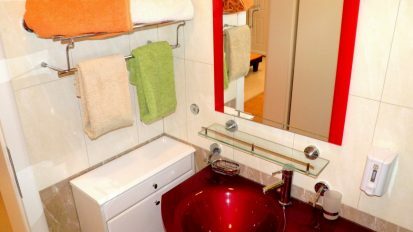 Bedclothes and towels are provided.